Introduction to Dreamweaver - Important things to remember as you begin to use this powerful web page development application. Topics covered include defining local and remote sites, downloading existing documents from the server and uploading edited documents to the server. 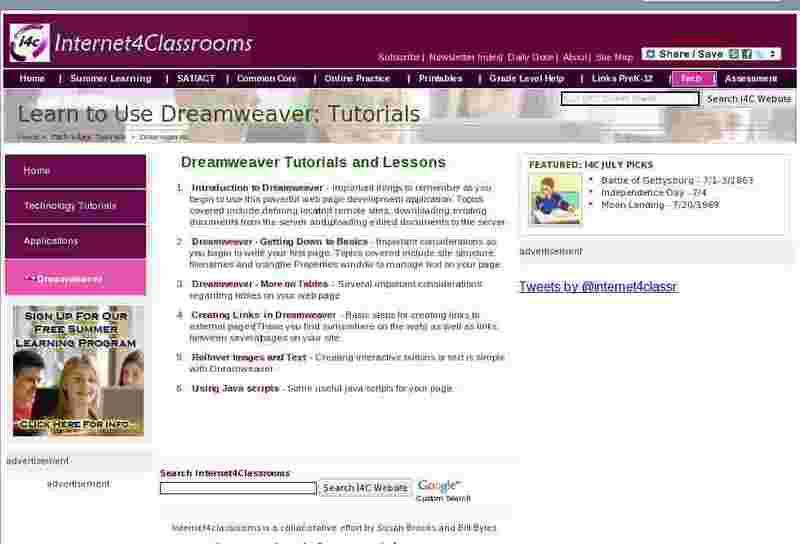 Dreamweaver - Getting Down to Basics - Important considerations as you begin to write your first page. Topics covered include site structure, filenames and using the Properties window to manage text on your page. Creating Links in Dreamweaver - Basic steps for creating links to external pages (Those you find somewhere on the web) as well as links between several pages on your site. Rollover Images and Text - Creating interactive buttons or text is simple with Dreamweaver. Using Java scripts - Some useful java scripts for your page.